An Ethiopian Airlines Boeing 757. Image via Wikimedia Commons. Public domain. A Boeing shareholder is suing the company, accusing it of concealing software faults that led to two fatal crashes and the grounding of 737 MAX aircraft worldwide. Reuters reports that the complaint, filed in a Chicago federal court, is seeking class action status. It alleges that Boeing committed securities fraud violations after the company’s stock tumbled by $34 billion following the Ethiopian Airlines disaster last month. The suit names Boeing Chief Executive Dennis Muilenburg and Chief Financial Officer Gregory Smith as defendants. The plaintiff, Richard Seeks, is hoping to recoup damagers for Boeing shareholders, saying they were financially harmed by the company’s alleged deception. Boeing has also criticized for having cozy relations with the Federal Aviation Authority; the lawsuit contends its C-level staff issued misleading statements about the 737 MAX’s safety, even as the FAA let the company self-regulate. A Lion Air Boeing 737 MAX 8. Image via Wikimedia Commons/user:PK-REN. (CCA-BY-2.0). Seeks said that Boeing’s shortcuts and compromises weren’t apparent to stockholders until after Ethiopian Airlines Flight 302 crashed within minutes of take-off in March, killing all 157 passengers aboard. 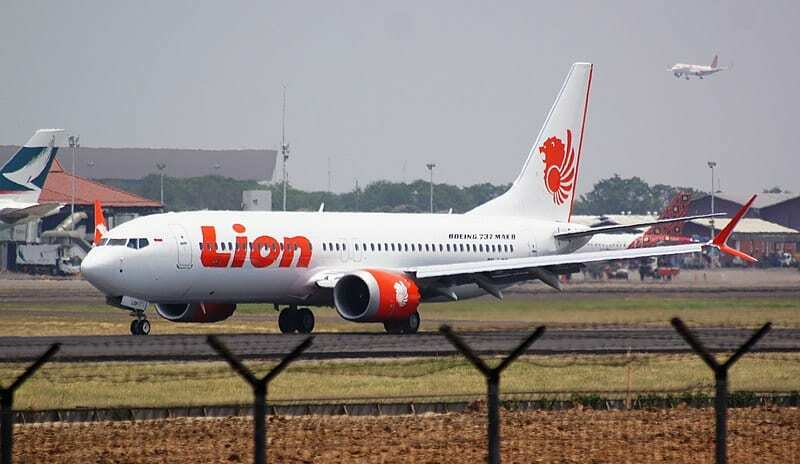 While investigations aren’t yet complete, preliminary reports suggest that the Ethiopian crash was caused by the same technical glitch that brought down a Lion Air Boeing MAX late last year. In both cases, it appears that angle-of-attack sensors affixed to the aircrafts’ body malfunctioned, sending faulty data to flight control systems. Indicating that the planes were pitched dangerously upward, Boeing’s Maneuvering Characteristics Augmentation System (MCAS) activated. MCAS, responding to the faulty readings, yanked the planes’ noses downward; in both crashes, the pilots fought against the system, struggling to regain altitude as MCAS dragged the Boeing aircraft down. In his suit, Seeks claims he bought 300 Boeing shares in early March. After Ethiopian Airlines went down on the 10th, he was forced to sell the stock at a loss. The prospective class action seeks damages for Boeing investors who purchased stocks between January 8th and March 21st. Boeing, after media began reporting on the similarities between the Lion Air and Ethiopian crashes, maintained that its 737 MAX aircraft were safe. But late last week, Muilenberg admitted it’s “apparent,” from all available evidence, that MCAS erroneously activated on both flights, culminating in disaster. The U.S.-based aircraft company is also facing a multitude of other lawsuits, filed by victims’ families and some of its own employees. While it works to release an update for its MCAS software, Boeing has announced that it’ll reduce 737 production from 52 units per month to 42.